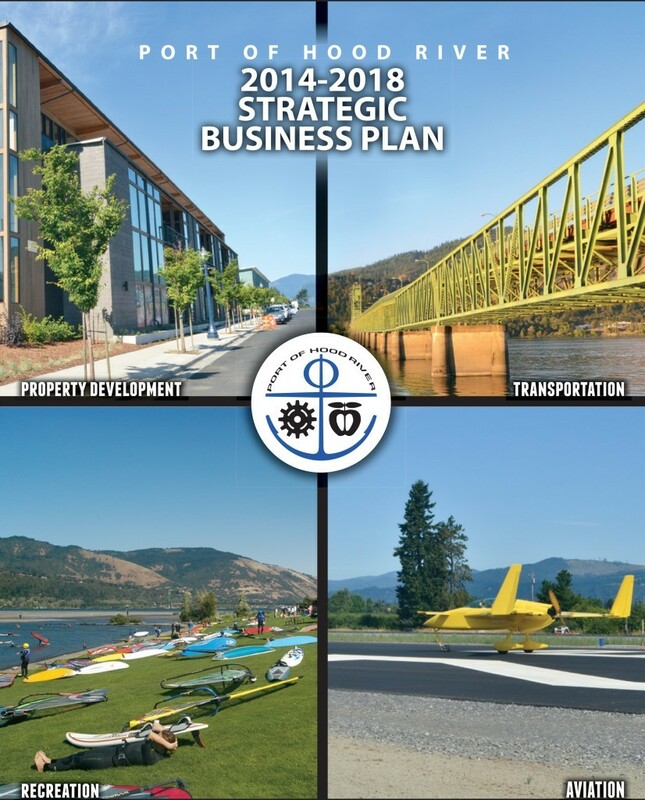 The Port of Hood River has completed the process of updating its Strategic Business Plan (SBP) that will serve to guide Port goals, decisions, operations and practices into the foreseeable future. The Port’s major assets include the Hood River Interstate Bridge, the Ken Jernstedt Airfield, real estate at Waterfront Business Park, the Hood River Marina and Port Marina Park. Other assets include waterfront recreation sites and trails, and pieces of previous economic development projects. The Port has a long history of successful management, planning and project implementation in the areas of economic development, transportation interests, and recreation. The agency has recently experienced significant business and industrial park growth, increased bridge traffic and tolls, recreation site usage growth, major airport improvements, and increases in tenant occupancy rates and lease revenues. To support the SBP planning effort, the Port assessed Port facilities, assets, and infrastructure, as well as economic and market conditions to aid in the development of goals, policies, strategies, and projects for the short-term, mid-term and long-term. The 2013 SBP will the guiding policy document for the Port Commission and staff, as well as for the general public, over the next five-plus years.